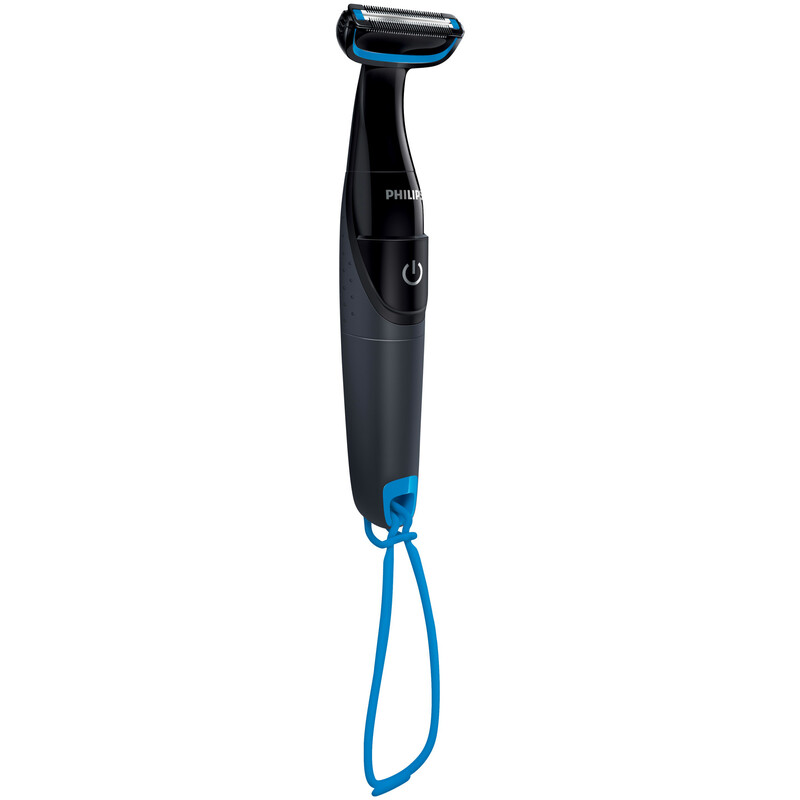 The BodyGroom 1000 is Philips’ first-ever removable battery body trimmer, which makes it easy and convenient to trim body hair, and the first Philips bodygroom product to have a dedicated space in the manual blade aisle of the store (one of the most heavily trafficked and profitable sections for the retailer). 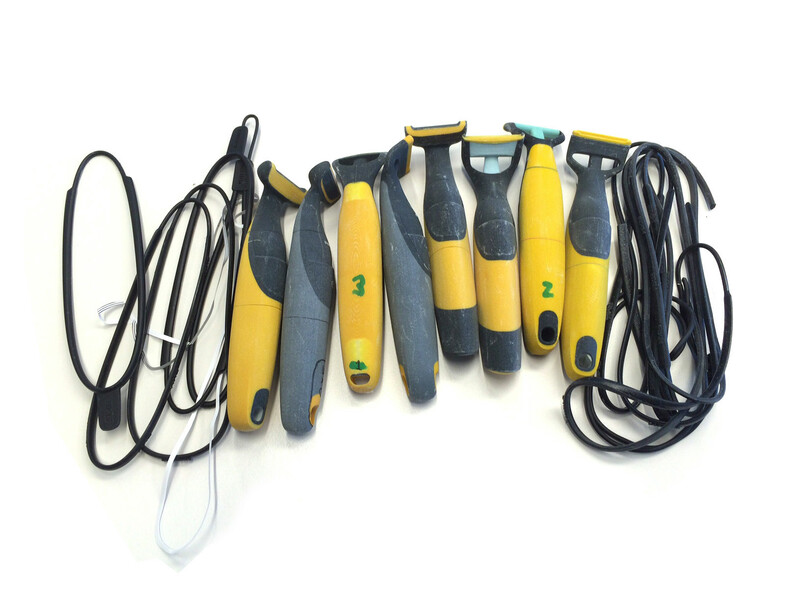 The target group today uses manual blades, which are prone to cutting or causing irritation in sensitive areas. This body trimmer is designed for a skin friendly result, in a fast way. To be relevant for the consumers shopping the blade-aisle of the store, I took design cues from current blade products, while also emphasizing the aspect of “power” through the on symbol and the robustness of the body vs. manual blades. And as many men are using the product in the shower, the intuitive combination of materials and patterns provides a robust grip assuring the user of waterproofness. The integrated shower strap allows the user to hang the product shower for the ultimate convenience. 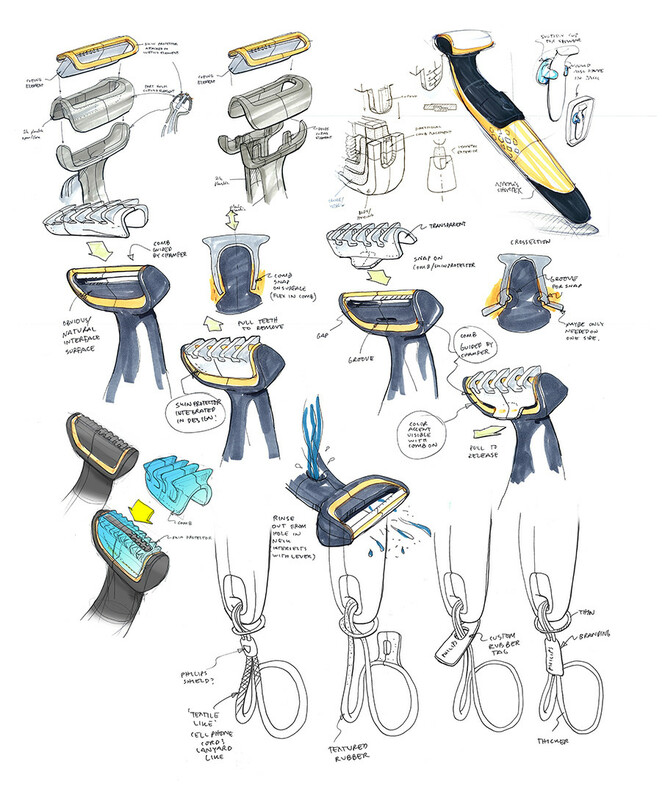 While designing the BodyGroom 1000, I was keenly aware of the need to have recognizable product cues that could travel across advertising, store placement, and in-store communications to strongly tie together the consumer decision journey. Reassuring blade users that the product is friendly on their skin was crucial, and as a result, the integrated skin protection comb and visibility around the cutting element make for an iconic and evocative design setting us apart from blade competition and becoming a memorable product language for the user and for future Philips blade-aisle products. 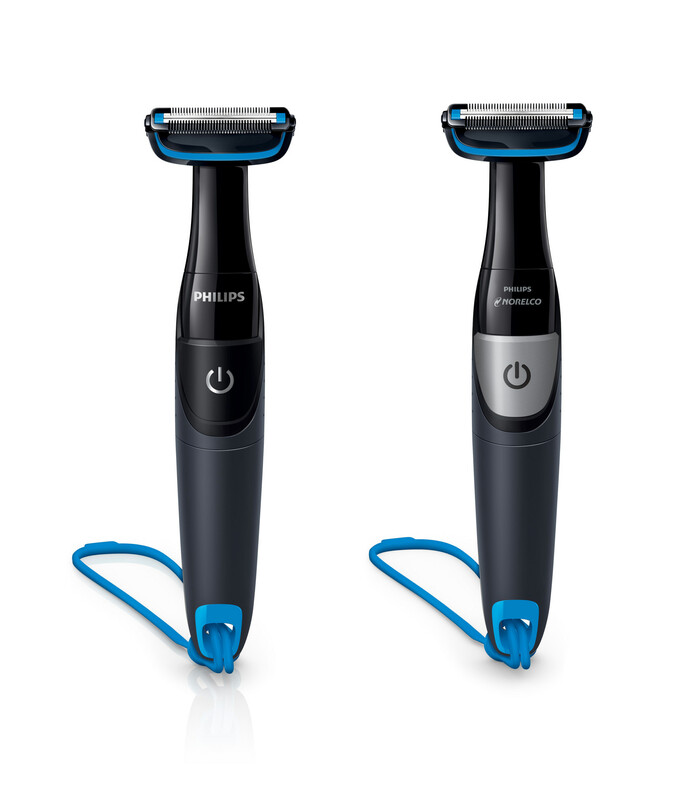 The BodyGroom 1000 is Philips’ first-ever removable battery body trimmer, which makes it easy and convenient to trim body hair, and the first Philips bodygroom product to have a dedicated space in the manual blade aisle of the store (one of the most heavily trafficked and profitable sections for the retailer). The target group today uses manual blades, which are prone to cutting or causing irritation in sensitive areas. This body trimmer is designed for a skin friendly result, in a fast way. To be relevant for the consumers shopping the blade-aisle of the store, I took design cues from current blade products, while also emphasizing the aspect of “power” through the on symbol and the robustness of the body vs. manual blades. And as many men are using the product in the shower, the intuitive combination of materials and patterns provides a robust grip assuring the user of waterproofness. The integrated shower strap allows the user to hang the product shower for the ultimate convenience. While designing the BodyGroom 1000, I was keenly aware of the need to have recognizable product cues that could travel across advertising, store placement, and in-store communications to strongly tie together the consumer decision journey. Reassuring blade users that the product is friendly on their skin was crucial, and as a result, the integrated skin protection comb and visibility around the cutting element make for an iconic and evocative design setting us apart from blade competition and becoming a memorable product language for the user and for future Philips blade-aisle products.